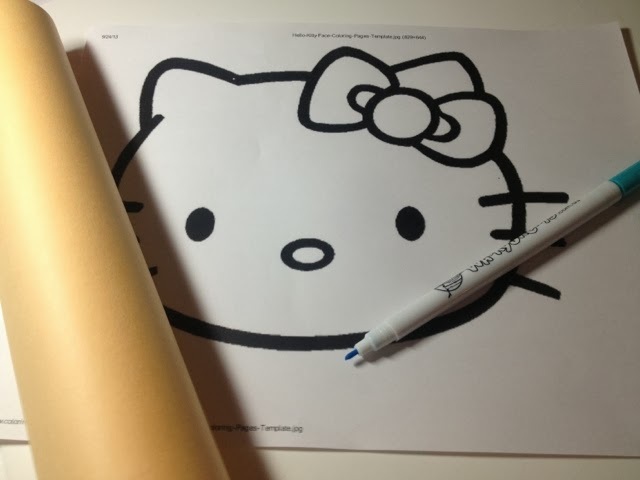 Sometimes, it's a Hello Kitty day. What will this become, I wonder...? Last week I showed this small quilt that I made for a friend. 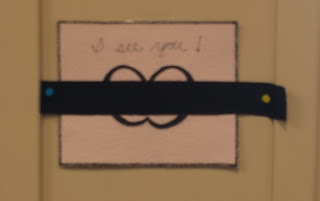 I wanted to keep an eye on him. I will admit that I thought I was being oh-so-clever. I'm on day 8 of a 12-day teaching trip. When I get home, I need to make another quilt -- The Eye of Sauron. 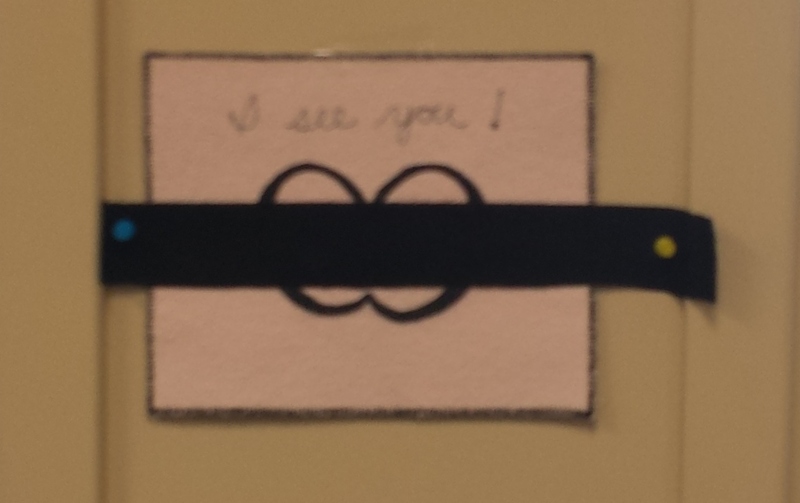 I think an all-seeing eye will be able to see through a blindfold, don't you? I am on a three-state teaching trip. Yesterday was just a travel day, but travel days can be fun. 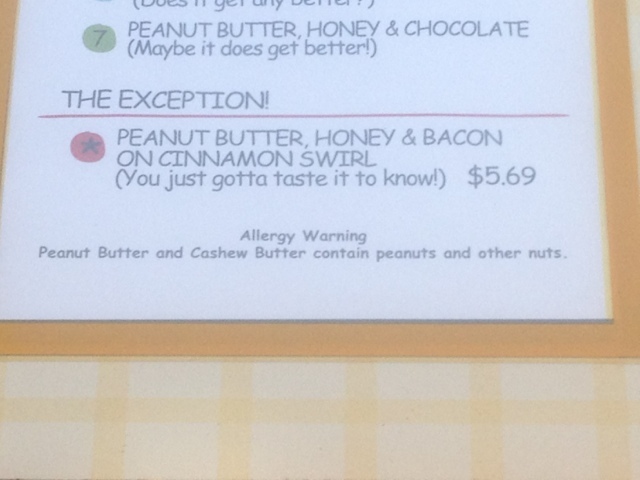 I learned a few things about PB&J. 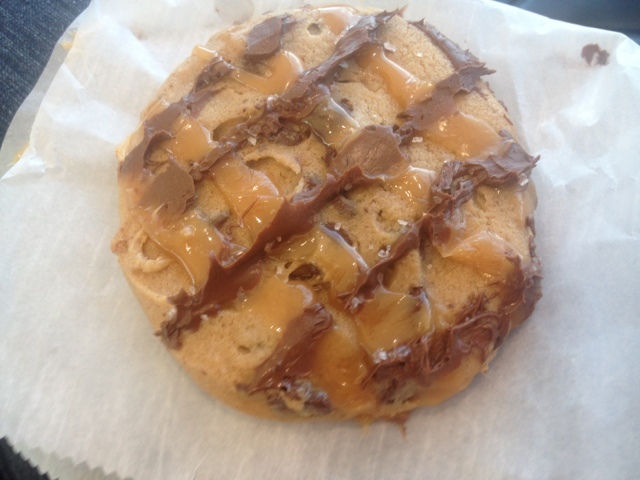 I ate a super yummy cookie: caramel chocolate cookie with sea salt. 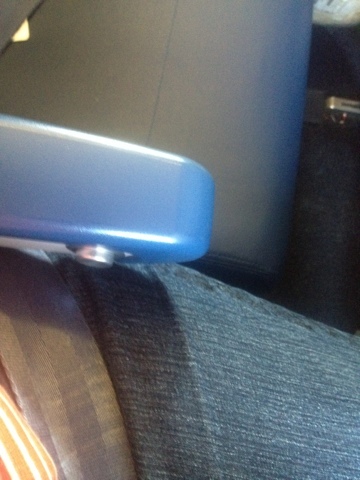 I didn't get an upgrade to first class, but I got an armrest. I an shockingly excited about that. I got lost trying to find my rental car. Apparently I wasn't the only one. 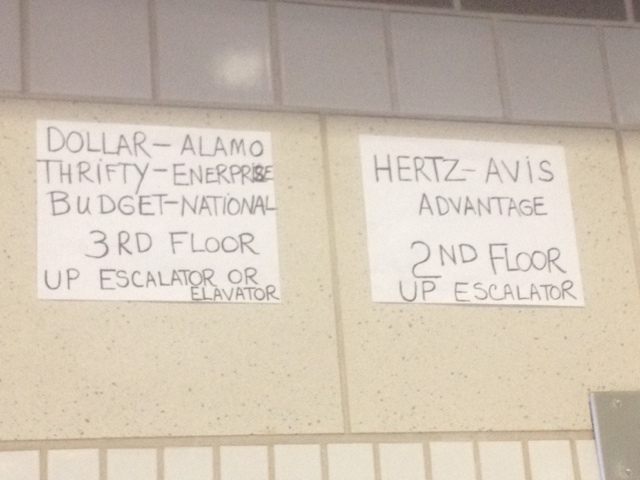 The friendly folks at MSP made extra signs to help out the weary travelers. 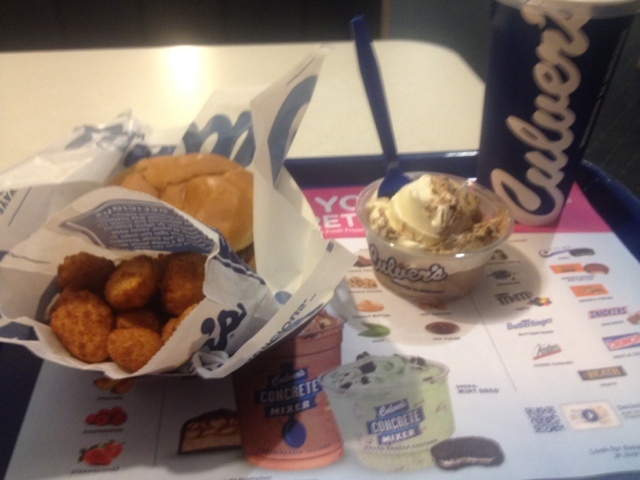 Minnesota welcomed me in style-- Culver's butter burger, cheese curds, and custard. My arteries are clogging but my tummy is happy! I can't wait for Day Two at St. 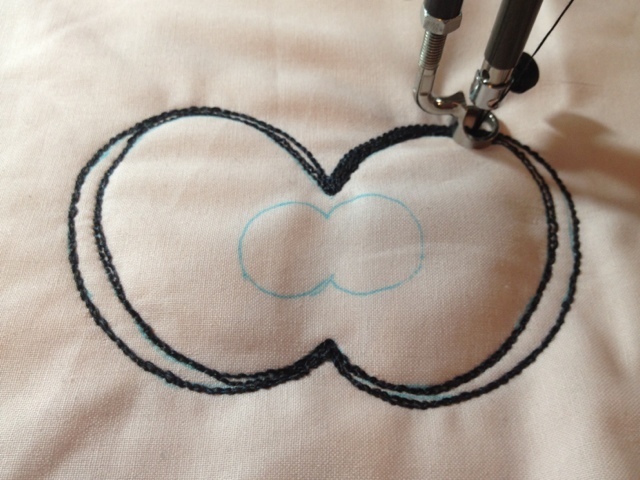 Cloud Sewing Center. I needed to keep an eye on a colleague of mine, so I made him a small quilt. It is only about 7x8 inches but it was a huge amount of fun to make. 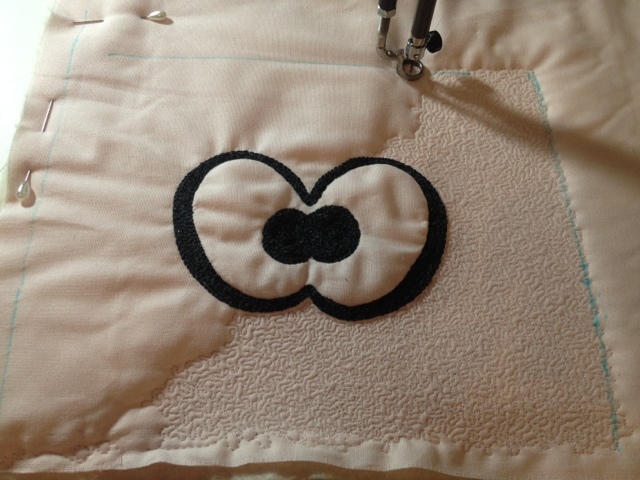 As I was recovering from a long week, I put a bit of fabric under Hazel's needle and stitched for the fun of it. 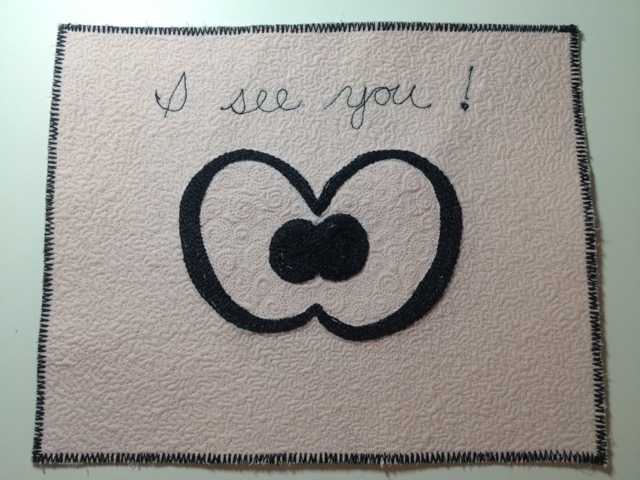 The quilt is in the mail and I hope that my friend knows that "I'm watching!" I have been traveling for a while and it is time to restock my toiletry kit. I stopped at the store last night for eye drops, toothpaste, and other necessities. 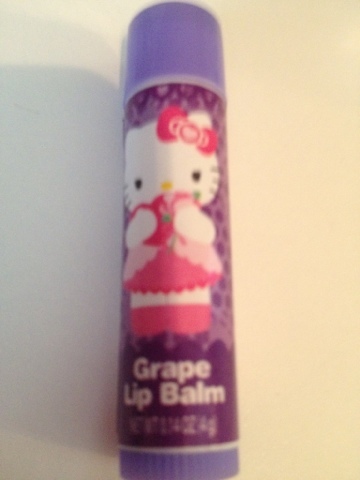 This is not very exciting so I decided to add some fun to one mundane item: I bought Hello Kitty lip gloss. 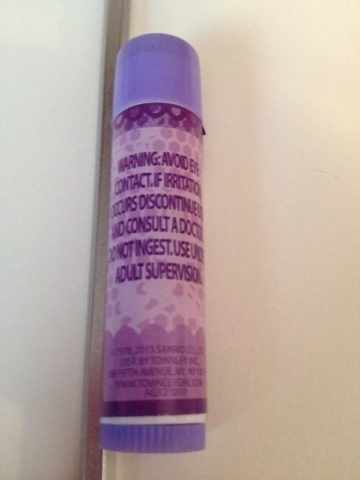 My new lip gloss is purple and sparkly and smells like grapes. It makes me smile. It is also possible that it could kill me. WARNING: AVOID EYE CONTACT. IF IRRITATION OCCURS DISCONTINUE USE AND CONSULT A DOCTOR. DO NOT INGEST. USE UNDER ADULT SUPERVISION. Apparently I am willing to risk my life for Hello Kitty.